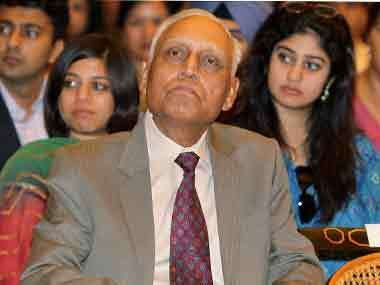 The Delhi High Court on Friday, on the Central Bureau Investigation's (CBI) plea, issued a notice to ex-Indian Air Force chief SP Tyagi against the bail given to him on 26 December. Tyagi was granted bail by a special court in Delhi which said that the CBI had failed to state the alleged bribe amount and when it was paid. The Delhi High Court on Friday sought the response of ex-IAF chief SP Tyagi on CBI's plea challenging his bail claiming its probe would be "hampered" if he remains out. Justice Vipin Sanghi issued notice to Tyagi and listed the matter for hearing on 3 January. 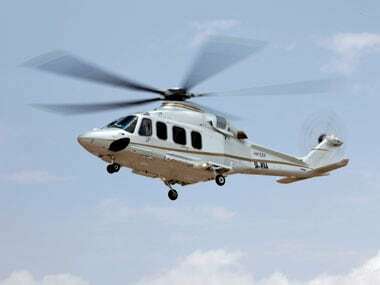 Tyagi, who retired in 2007, his cousin Sanjeev Tyagi and lawyer Gautam Khaitan were arrested on 9 December by the CBI in connection with a case which relates to the procurement of 12 VVIP choppers from the UK-based firm Finmeccanica, during the UPA-2 regime. The Patiala House Court on Friday extended the judicial custody of SP Tyagi's cousin Sanjeev Tyagi and lawyer Gautam Khaitan for 14 days.The court will decide the bail pleas of Sanjeev Tyagi and Khaitan on 4 January. #AgustaWestland : Patiala House Court extends judicial custody of SP Tyagi's cousin Sanjeev Tyagi and lawyer Gautam Khaitan for 14 days. Tyagi, 72, who was interrogated by the CBI in its custody for seven days, had been asked by special CBI judge Arvind Kumar to furnish a personal bond of Rs 2 lakh and one surety of like amount as pre-requisites for his release on bail. The court had asked Tyagi not to leave the National Capital Region (NCR) without its permission and ordered him not to tamper with the evidence or try to influence the witnesses. "CBI failed to state as to how much cash was paid to the accused and when it was paid. Admittedly, the CBI has seized the documents regarding properties in 2013 and more than three years and nine months have passed but could not conduct probe in this regard. 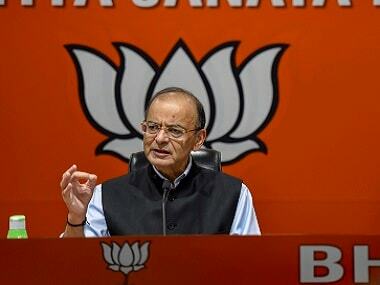 Accused was arrested after about three years and nine months, LOC was withdrawn by CBI, his accounts were de-frozed after the agency gave 'no objection' and accused was allowed to travel abroad," the court, in its 26 December order, had said. "CBI's apprehension that the accused may tamper with the evidence is without any basis... Accused has been a senior government servant. The correctness or otherwise of the allegation as to whether the accused has taken any kickbacks and in what manner he was connected with the same, can only be looked into during the course of the trial," it had said. While granting the relief, the court had taken note of Tyagi's advancing age and his health conditions and had said no purpose would be served by keeping him behind the bars. During the hearing, Tyagi's advocate Manger Guruswamy had said that her client "could not be deprived of freedom if the investigation is taking time to complete". She had also claimed that in the last four years after registration of the FIR, the CBI has never been able to confront Tyagi with any incriminating evidence till date. 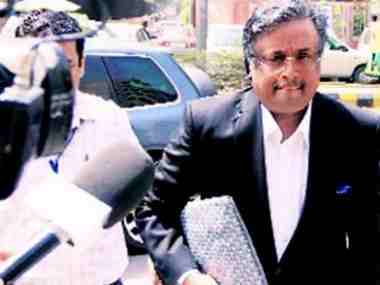 Additional Solicitor General Tushar Mehta, appearing for the CBI, had opposed the bail pleas of the accused, saying if set free, they might influence witnesses and hamper the "multi-layered probe by various agencies in more than one jurisdictions involving several countries". "We have evidence where the meetings unofficially took place for the purpose of crime. At this stage, please do not entertain their bail pleas. Let the probe be completed," he had said, seeking dismissal of the bail pleas of all the three accused and adding the matter has "tarnished country's name". On the court's query whether the CBI had any material regarding SP Tyagi receiving money, the agency replied the former IAF chief had purchased several properties for which the sources of income were not disclosed by him and alleged that he had abused his official position. Sanjeev Tyagi's counsel Manav Gupta had also opposed CBI's contention saying there was no reason to claim that if granted the relief, his client would hamper the probe. The accused had sought bail on the grounds that the evidence was documentary in nature and had already been seized by CBI and they have cooperated with the probe agency. The court had on 17 December sent all the three accused to judicial custody till 30 December. The CBI had said it was a "very serious" and "a very high-profile" case requiring interrogation to unearth larger conspiracy as the "interest of the nation was compromised". Tyagi's counsel had earlier claimed that the decision to procure VVIP choppers from AgustaWestland was a "collective" one and the Prime Minister's Office (PMO) was also a part of it.